When it comes to filling a gap in our collection, we collectors become a bunch of wishful thinkers, easily taking the slightest hint that a specimen might be the sought after species as fact. Please note that this explicitly includes myself, and I´ve got a feeling it is directly proportional to the time that gap is perceived to be open. 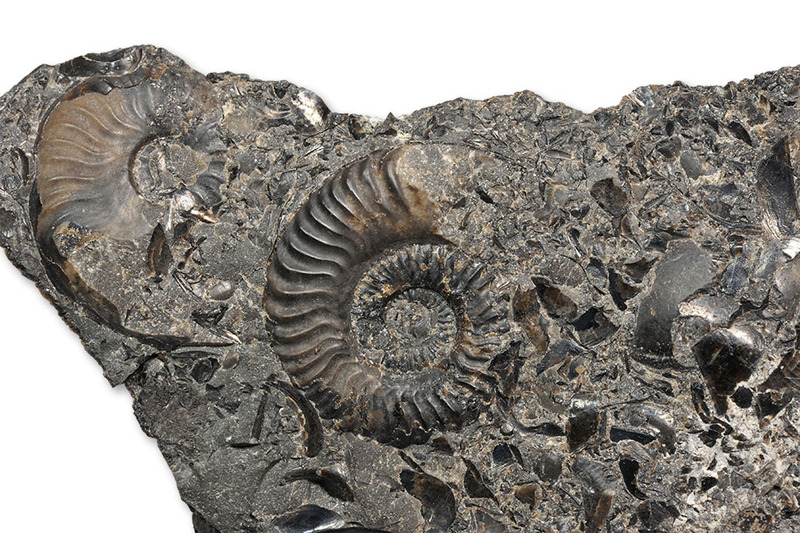 One of my examples in this area is the below ammonite, found in October 2010 at Hawsker Bottoms. I was so ready to call it Hildaites murleyi, believe me, mainly for the fact that it exhibits a finer ribbing than the usual Hildoceras lusitanicum (see here). 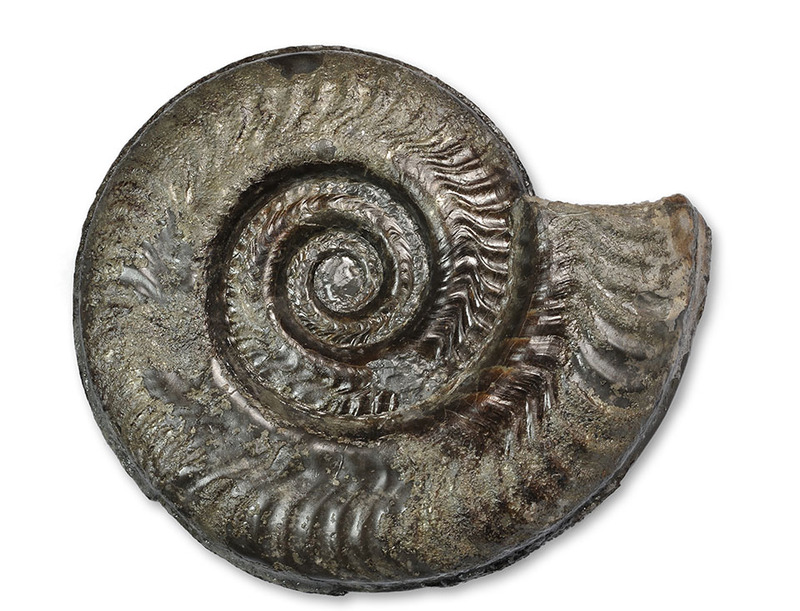 But a final niggle remained, the preservation just did not fit – it was a typical commune zone Hildoceras lusitanicum preservation, with a sugary pyrite/calcite shell, that was almost gone, and a pyritic internal mould with some replacement shell. Hildaites murleyi is an exaratum/falciferum subzone ammonite on the Yorkshire coast and in my experience relatively rare. I´ve only really got one Yorkshire specimen I´m 100 % sure of that it is Hildaites murleyi, and it is the one shown in the title picture. You can´t beat a good ammonite association, even better one that is so diagnostic as the above one : The small ammonites next to the Hildaites murleyi are Cleviceras, this small 10 x 5 cm matrix sliver also has many small shiny black ammonite aptychi and possibly belemnite hooks, which are so typical for certain exaratum subzone beds. Hildoceras lusitanicum has a much more visible groove , and the smooth area next to the umbilical wall is much wider than in Hildaites murleyi, where the groove is almost non-existent and the ribs don’t fade out towards the umbilical wall – you see the same on the small specimen in the title picture. 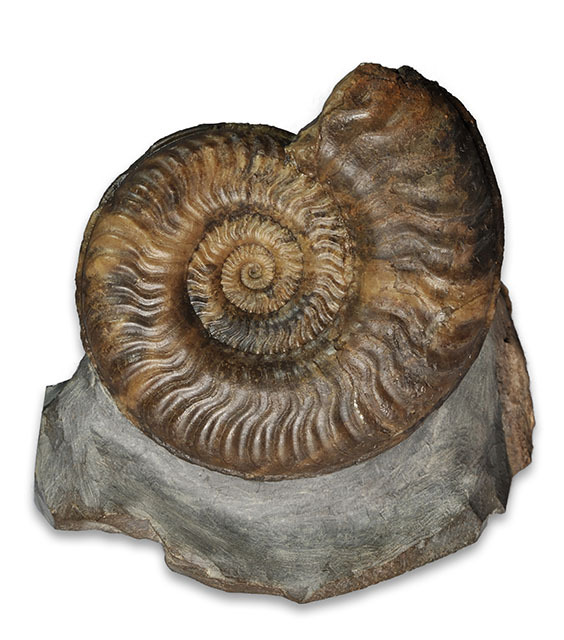 Arno´s Hildaites murleyi certainly is a very beautiful (maybe even more beautiful than a Yorkshire specimen can be), well prepared ammonite, and very educational in showing the typical Hildaites murleyi features as well.